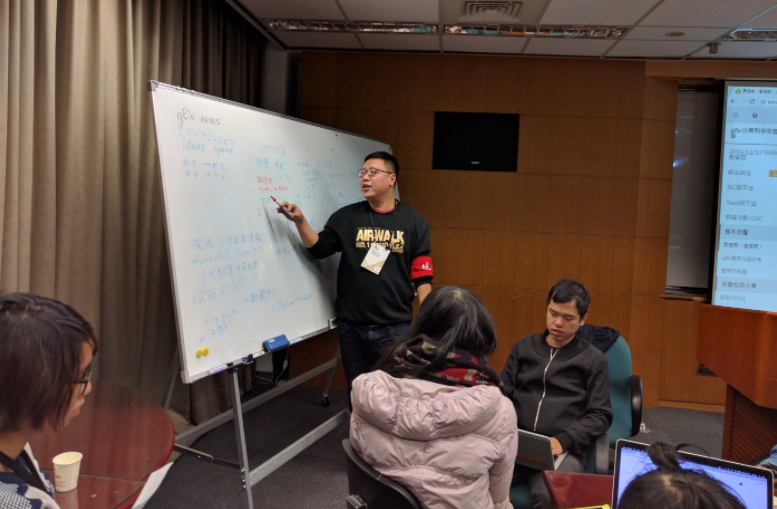 The Taiwanese civic tech community g0v held their ‘g0v hackath22n’ on December 17, a bimonthly event where citizens propose and present projects aimed at promoting civic participation and government transparency. “G0v is a vibrant community where you can actually meet new people and work on projects offline,” g0v co-founder Chia-liang Kao said. Participants’ projects ranged from apps that parse government PDFs so that citizens might better know when a law affects them, to ambitious Line app bots, aimed at identifying and weeding out false rumors. 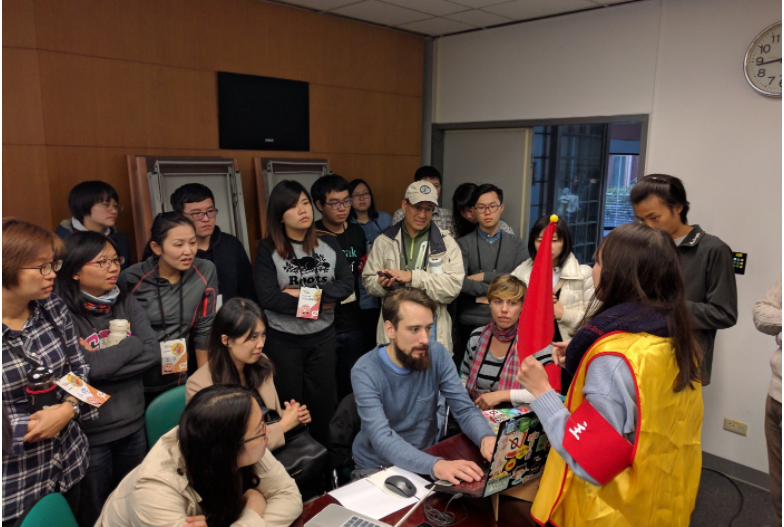 ttcat presents g0v news, a new website for Chinese/English bilingual civic tech news. Nina Breznik and Alexander Praetorius present their project, WizardAmigos at g0v hackath22n. Videos from the event can be found on g0v’s YouTube page. Dan Bateyko is a Thomas J. Watson fellow studying global barriers to internet access and digital rights movements. This entry was posted in Field trips, News / Views. Bookmark the permalink.